For introductory courses in Computer Programming. When it comes to programming, understanding the founding concepts can greatly improve student engagement and future success. 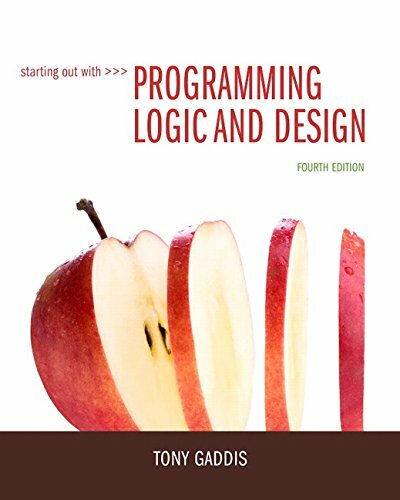 In its Fourth Edition, Starting Out with Programming Logic and Design is a language-independent introductory programming book, ideal for a precursor programming course or the first unit of an introductory programming course. The text covers fundamental topics such as data types, variables, input, output, control structures, modules, functions, arrays, files, object-oriented concepts, GUI development, and event-driven programming. Designed for beginners, the text is clear and approachable, making the complex concepts accessible to every student. In this edition, Gaddis uses updated, contemporary examples to familiarize students with models and logical thought processes used in programming without further complicating them with language syntax. By using easy-to-understand pseudocode, flowcharts, and other tools, Gaddis illustrates how to design the logic of programs. Then, confident in their high-level understanding of computer programming, students are able to handle programming languages and syntax with greater ease and aptitude.